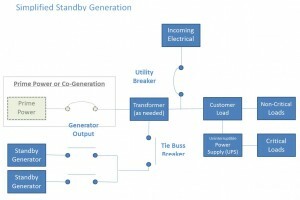 Is Standby Power Generation Right For Your Business? How much energy capacity do you need? How many hours per year do you expect to operate? Will you be using natural gas or diesel fuel? How much stored on-site fuel capacity do you need? What are the interconnect requirements to operate in parallel? Does your local utility company or regional transmission independent system operator (ISO) have an interruptible, peaking or demand response program? 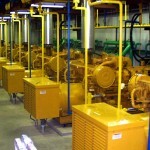 Who decides when you operate your standby generation plant and for how long? Do you have enough space for the equipment onsite? Does your facility have capacitor banks? Do you need an uninterruptible power supply (UPS) for sensitive equipment and data center or information technology (IT) infrastructure? If standby power generation project looks like a fit for you application, contact IEA and one of our experts can guide you through the project screening and development processes. IEA can own, operate and maintain your standby power generation project or provide a turnkey solution with asset management services to support ongoing operations and maintenance for projects owned directly by customers. 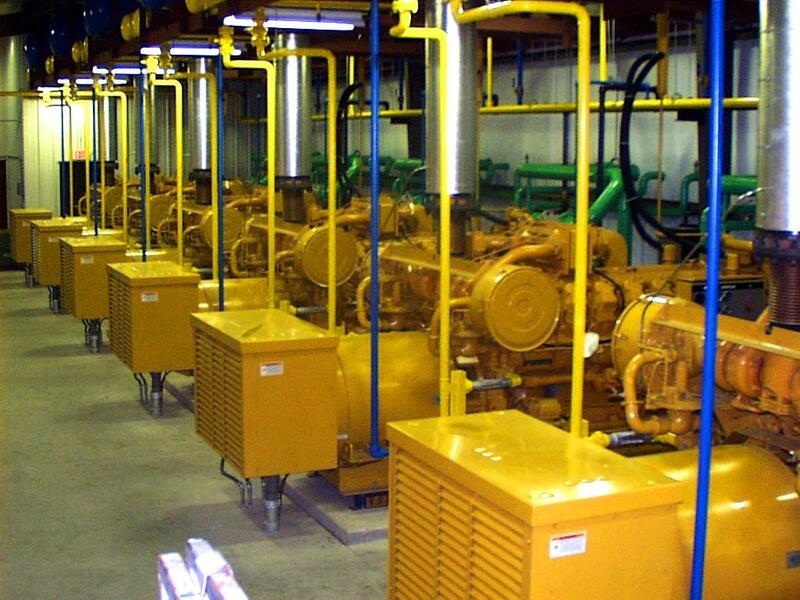 The primary equipment choice for a standby generation is reciprocating engines fueled with either natural gas or diesel fuel. While there may be other choices for specialty applications or places where energy prices are high, those should be evaluated on a case-by-case basis. Some customers with high power continuity needs elect to storm run (i.e., start their standby generators ahead of severe weather, divorcing themselves from impacts on the local utility grid. ).